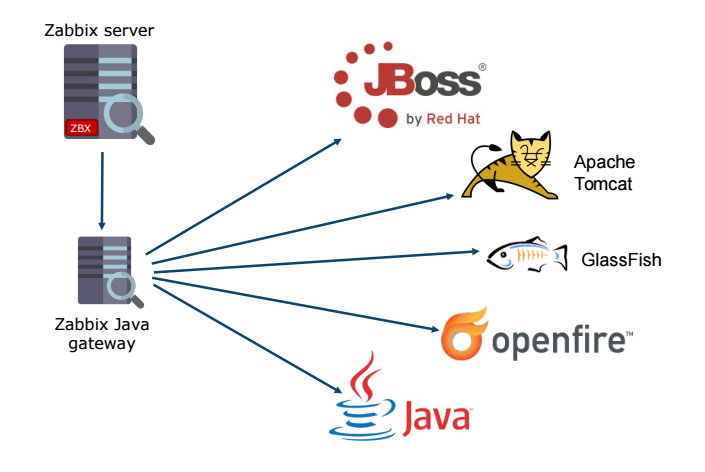 Zabbix Java gateway, written in Java, is able to monitor Java applications using the JMX technology (Java Management Extensions). 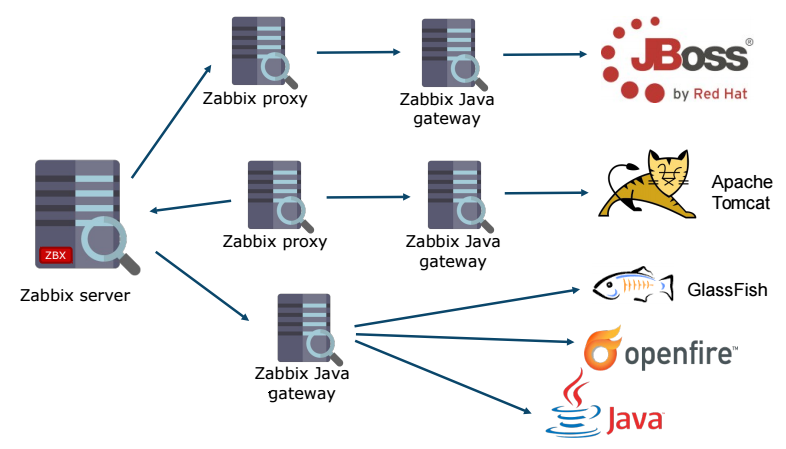 This way, a Zabbix server requests the Zabbix Java gateway a specific JMX counter, which remotely, through the JMX API can provide information about the Java application, without the need for any additional software. Popular applications such as ActiveMQ, GlassFish, JBoss, Tomcat and WebSphere can easily be monitored through JMX. JMX technology is present in the Java SE platform since J2SE 5.0 version and provides ways to monitor any application or device present in the JVM.